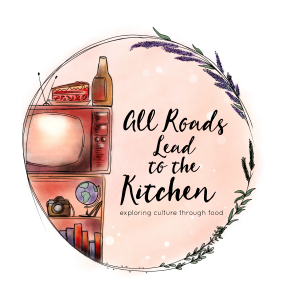 I decided I wanted to go a little bit crazy with the fruit recently...I'll be talking about it over at My Food and Life Encounters (where I'm guest posting while Miranda is away) and I'll be talking about it right here, too! But with a different spin on things... But for now, let's talk about how to get a delicious bowl of this tasty summertime (oh....why not anytime) fruity, yogurty mixture! 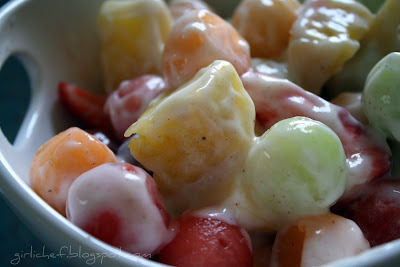 Fruit & Yogurt Salad w/ honey & cinnamon... Choose your favorite fruits...or some new fruits you haven't tried...or just use the same ones I picked (it was a good combo)...go fruit wild! I went with 6 fruits all in various colors- because it's all about eating with eyes! I chose to "ball" my melons (you'll see why if you visit me on my "sister" post), but feel free to just cut them into chunks if you don't have a melon baller...or if you do have one, but don't feel like using it. I thought I would begin by giving a little pineapple cutting tutorial. I've had many people tell me they were scared of cutting one without the aid of one of those corer/slicer doodads. Well, fear no more! 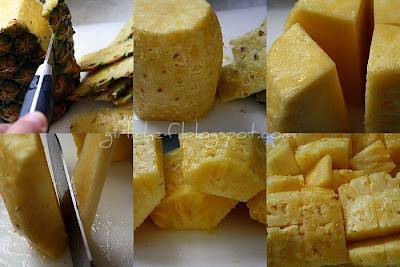 Pineapples are seriously one of the easiest fruits to cut once you know how! Begin by securing your cutting board so that it doesn't slide when the inevitable slippery juices seep over the edges. First cut off the top and bottom of the pineapple. Set it upright and using a sharp chef's knife, begin slicing off that prickly skin just under the line of "eyes". Don't worry if you miss some, you can go back and shave them off later. Once that part is done...you're so golden! Admit it, that outside of the pineapple is definitely the scariest part. Next, cut through the pineapple from top to bottom, through the core. Then locate that core (it's lighter) on each section and simply slice it off. Now you have four big, gorgeous hunks of pineapple to slice, chunk, cut in anyway you choose! See...easy as pie right? Right! (If you want rings, simply cut the pineapple in half the short way once you've removed the top & bottom. 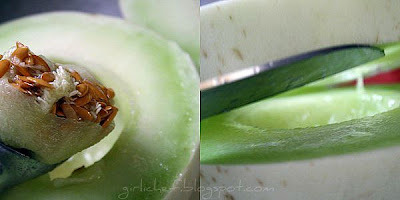 Then pop out the core from each half with an apple corer. Then move on the next step of removing the skin. All that will remain will be slicing up those rings.) The next fruit I chose to use was cantaloupe. 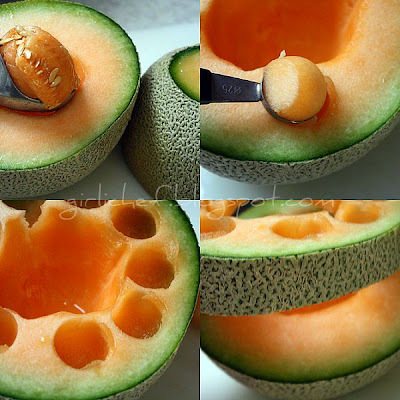 Begin by slicing off a thin slice from each end of the melon. This will serve as a flat edge to hold it steady. Now cut it in half (not through the flat end, through the other way) and scoop out the seeds with an ice cream scoop. With your melon baller, make your way around the flesh scooping out balls as close together as possible. 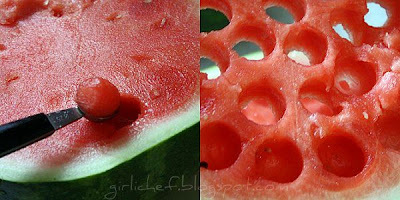 Once you've gotten all the way around, using a very sharp knife, cut off a layer just as deep as your holes. Repeat the process until you've used up all the melon you are able to. You'll get a few extra balls from the very bottom curve, as well. No need to waste all that mangled looking melon...simply scoop it out and use it for smoothies...or some other fruity drink! Ditto on your honeydew... Your watermelon (use seedless for best results) uses the same process, but yields so much more because of the greater surface area. 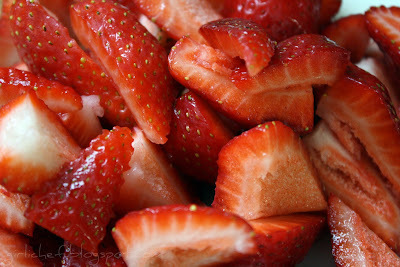 When it came to the strawberries, I just halved or quartered them depending on their size. The grapes I just plucked from their stems. Look at all this delicious fruit just waiting to mingle! Now...make yourself a little yogurt dressing for tossing it all up and bringing it together well. 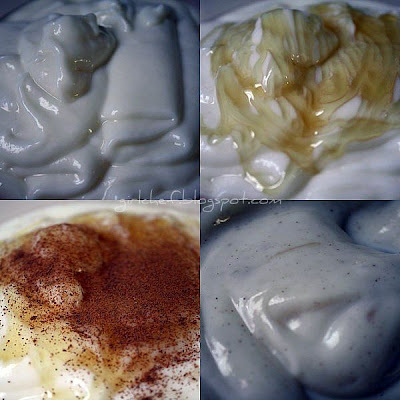 by girlichef Yogurt-plain or vanilla Honey Cinnamon (or freshly grated Nutmeg...but then you'll have to change the name) Mix them all together to your taste! And YES...you can use this as a delicious fruit dip, too. But, what I did was tossed everything together for a big bowl of summertime satisfaction! My Fruit & Yogurt Salad w/ honey & cinnamon is also my submission for Souper (soup, salad & sammie) Sundays this week! Love the pre-mix shot. Looks great! I haven't had a good fruit salad in forever. This time of year is so perfect for fruit. I really get in danger of cutting out all other food groups. Your salad is beautiful! You have just made me miss my melon baller, which has not seen the light of day in YEARS! 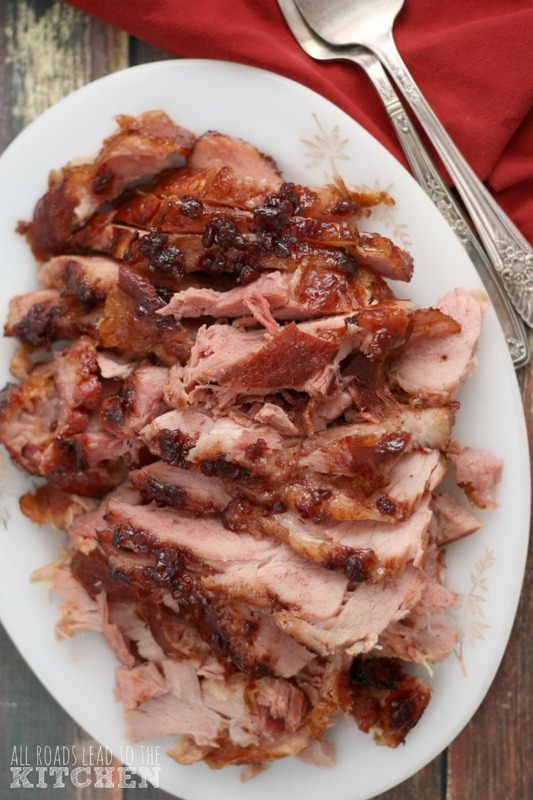 I love how you dressed it up with this flavorful honey cinnamon dressing. Perfect breakfast or lunch. Looks delicious! I love the rows of fruit in the one picture above. I feel like diving into it. LOL. That looks really good. 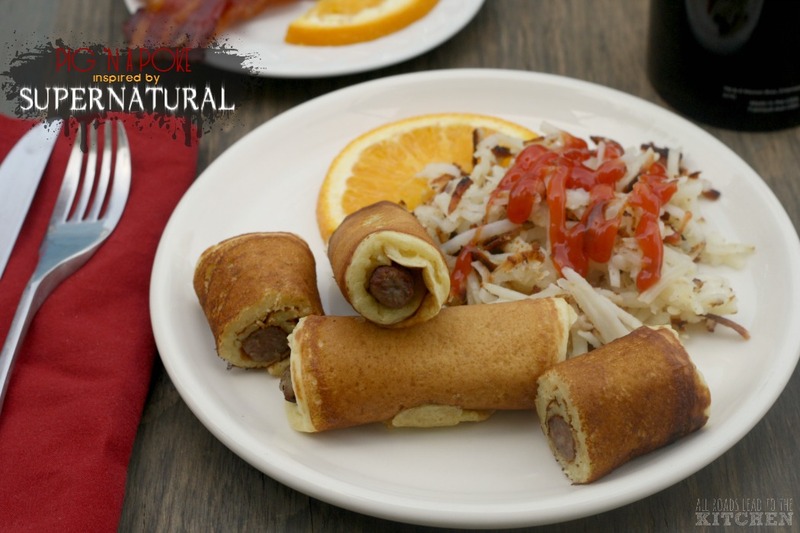 Perfect for an afternoon snack or dessert. yum!!! okay - my favorite are the kebobs!! Fantastic photos!!! We must be thinking alike. I made a big fruit salad today and tried a new topping. I'll post about it tomorrow. Beautiful photos and fruit--looks so refreshing. Thanks for sending your salad to Souper (Soup, Salad & Sammie) Sundays--I'll add it to Sunday's round-up. Absolutely gorgeous and I like your new header picture. woah that's a lot of fruits! and the dip looks and sounds realy delicious. Love the touch of cinnamon! Love the fresh fruit medley. I'm down with the honey cinnamon yogurt dip, but I'm not so sure about the lime and salt. I'll have to try it one time and see if I like it. I love the pic of all of your prepped ready to go fruit!! 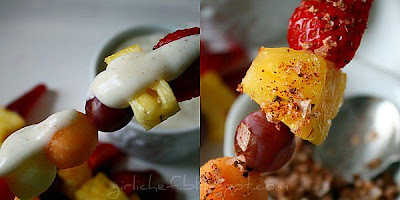 Gorgeous fruit and I love the idea of yougurt, honey, and cinnamon dressing! Very yummy! YUM! 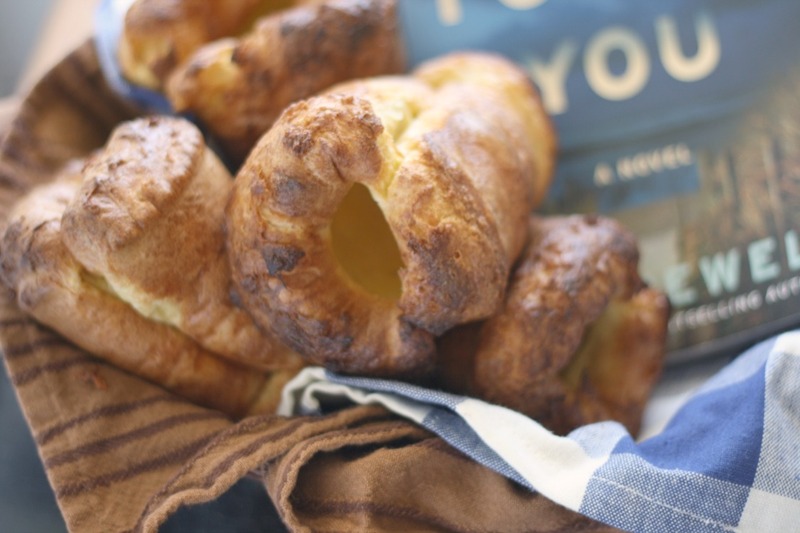 Thanks for visiting my blog, and for sharing this fresh-looking recipe! Refreshing, creamy, a little spice...perfect! What a wonderful fruit salad. I'm wishing that I ate this for breakfast instead of heavy (but really good) biscuits and gravy. I'm in a food coma right now. This looks great! I love a nice fruit salad. My step-mom used to make a creamy fruit salad but it was a mixture of cream cheese and marshmallow fluff, its was delicious but I have a feeling yours is a bit more nutritious;) It looks like you have a new header too...I like it! Now if I could only figure out how to do that on my blog...haha. Yum! I have to admit, seeing all that fruit reminded me of the summers I spent working for a catering company. ALL I did was cut fruit. Agonizing! To be honest, this is more satifying to me than a big bowl if icream. This was very nicely done. I agree with Katherine. This is so appealing to me! I have been eating giant bowls of fruit twice a day. I love this with the yogurt dip! that looks so good! i just ate breakfast and im hungry again? mmm mmm good. Thanks so much for showing how to do the melon balls! I tried to do it recently and couldn't figure it out. These photos just scream Summertime! Wow, the fruit looks fabulous & I can't wait to try the dressing. Yum! 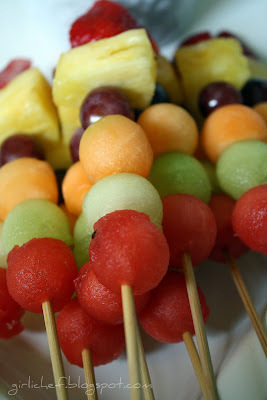 Wow, these fruit kabobs definitely make people happy. Wow...I miss a few days online and you have three new posts!! 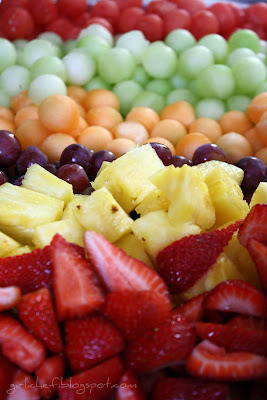 This looks great and it's just the time to get the fruit salad on the table before the lucious summer fruits go away. Did you change your header? Looks good. What a lovely fruit salad, so refreshing and perfect for summer! I like your pineapple tutorial too, I was intimidated by them for a long time. Thank you so much for the pineapple tutorial. I am always paying top dollar for the pre-cut variety because I am too intimidated to cut it myself. No more! Fruit salad is my favorite, with or without dressing. Just let me dive in! What a gorgeous array of colors! Those fruit cutting/balling tutorials make for some great pics! This looks so tasty, somewhat reminiscent of my typical afternoon snack (yogurt + berries). Wow! I love the pictures! 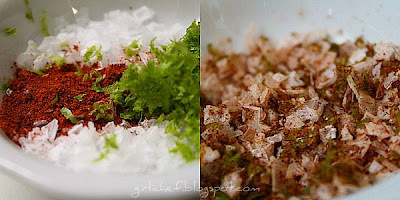 Great summer recipe....fantastic dressing. Gorgeous! I love that pic of all the fruit lined up and color coded. So pretty, you should totally submit that one! 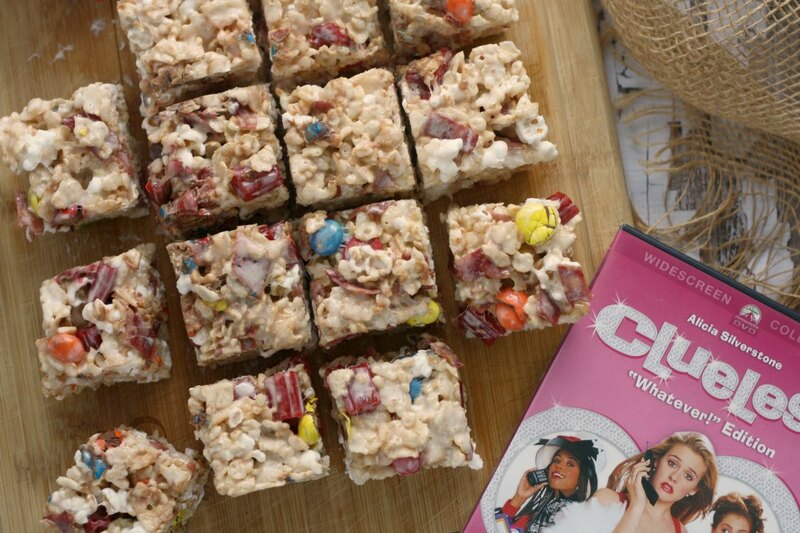 Sounds really yummy and healthy and the perfect treat to overindulge in w/out feeling guilty. Beautiful photos and beautiful fruit salad! I love a good fruit salad. Lovely mouth-watering pics! And I love fruit salads, but this yogurt dressing sounds too fab! Love your seedless watermelon, too! Never saw those in Florida! I love your fruit salad! Never thought of usuing cinnamon and yogurt! There is nothing more beautiful than fresh fruit. I could take a swim in that bowl of goodness. What a pretty post!! And it all looks so wonderful. I've love a big bowl of it please! I love your photo of all the fruit lined up. It's a rainbow of produce heaven! This dipping sauce sounds divine. I am definitely going to be making this. Love the new banner as well! So many pretty colors there too. What great photography here. Your collages and the pictures used to assemble them are aces. Well done! Hey girli-girl, the fruit salad is amazing. I love it being on the skewers. It's a pick up and go type of refresher. And the honey cinnamon yogurt dressing is divine. I'll trade you some tenderloin for a couple of these skewers, OK? I absolutely love this refreshing yoghurt fruit salad! It is just perfect for a hot weather place like Singapore. I may have a BBQ coming up and this salad is it. 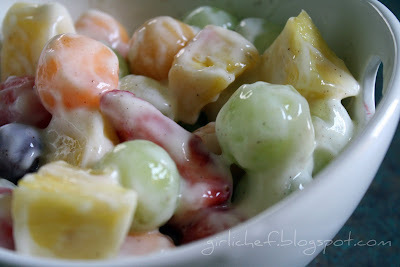 I love fruit salad... and I make my yogurt dressing/dip the same way... just scrumptious! I just love this salad! The dressing sounds particularly delicious. vat a lovely combo also love the color.. vat a perfect idea.. ye are sooo creative girl!! keep up the great work! cheers!! and have a great weekend! Thanks for the tutorial on doing the melon balls. I've never cut off the goofy layer of melon remnants after that first go-round, so most of the rest of my melon balls always looked suitably goofy. Now I have the solution. Simple yet I never figured it out. Thanks so much for the melon-ball wisdom. I don't know why I haven't been making fruit salad, this summer. Before summer is over, I have to make some, if only to try that dressing. Great photos. 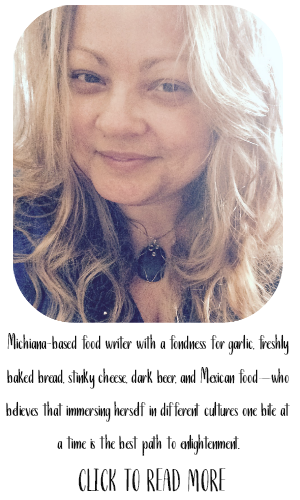 You have such a pretty blog - I love all of your many photos! I saw your salad on the Souper Sundays roundup and had to take a closer look - and am glad I did. Bookmarking your blog so I can take my time enjoying your other posts.